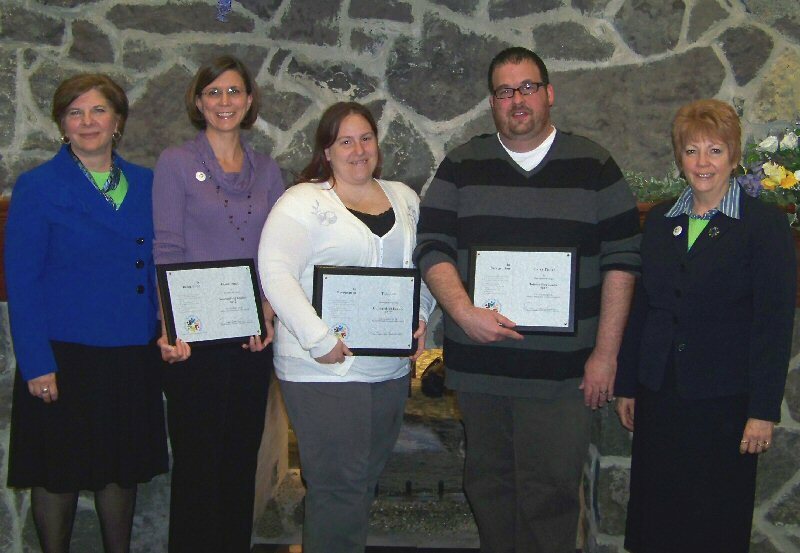 Oswego County Opportunities recognized nominees for the agency’s prestigious Amelia Whelahan Award. Established in memory of a dedicated and committed member of the OCO family that served as a member of the very first Board of Directors for OCO, the Amelia Whelahan Award is given annually to a staff member who is easily identified as a true leader and who has made outstanding contributions to OCO and the Human Services profession and has participated in volunteer leadership activities that have helped improve the quality of life in Oswego County. Pictured from left are Executive Director of OCO, Diane Cooper-Currier; nominees Carol Genalo, R.N., OCO Education Services; Toni Ross, health educator / trainer, and Lawrence Fisher II, manager, PATH program, both of OCO Crisis & Development Services; and Deputy Executive Director of OCO, Sarah Irland.